Monte S. says: "Something magical happens when humans master harmo​nies like you two do! Can't get enough of it!" "Elaine, your sultry sounds are wonderful and mesmerizing. And it is amazing when you pair your voice with Ivan's and ​his Guitar. Look forward to hearing more and often." / Richard L. says: "Top-notch performance, great chemistry & wit. Definitely a must see." / Karen M. says: "Pitch-on perfect duo with energy and beautiful voices, combined for a fabulous listening experience. What's better is to see them in person!!" / sjerak says: "Amazing duo! Entertaining and accomplished musicians!" / Bob H. says: "Guitar virtuosity with angelic voices" / Dale A. says: "Great voices that blend well, and what a great pair of hands on the guitar player. These guys are the best "date night" duo in town." / Greg M. says: "Stellar guitar. luscious harmony and brilliant new arrangements of familiar songs: when the singers sing the singers own the songs!" / Julie Z. says: "Fun banter, great audience inclusion. Lovely music!" / Diane S. says: "Great vocals and harmonies, killer arrangements, and great chemistry. IvyLane is my favorite local duo!" / Elise D. says: "Love love love this duo! They are amazingly talented and provide the best entertainment. IvyLane performed at my local charity event and they were absolutely wonderful." 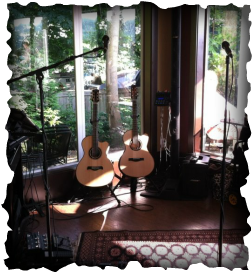 / Jolene G. says: "Love these two - they play at my bar (Match Coffee and Wine in Duvall) and they are always a customer favorite!!" / Ken C. says: "Absolutely best vocals and harmony !" / Diane S. says: "Amazing harmonies, terrific chemistry between the two artists, I never tire of their performances." We're not a dance band but focus instead on tight harmonies, storytelling through lyrics, and a sense of humor, fun, & connection with our audiences. We adore the comfort of a familiar & loved song but also have a tendency to "put a spin" on classics in a way that you might not expect, but ideally will come to love! Ivan Lee is a Redmond WA area based musician. 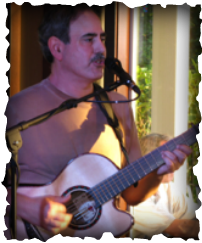 He is a talented and eclectic mix of solo Finger-style Acoustic, Singer Songwriter, New Age, Celtic, Classical, Looping, and many other styles. Ivan has been in the local music scene for decades with many different groups, pursuing his passion for live performance. Also practiced at recording and producing, Ivan has released several solo CDs, in addition to recording & engineering IvyLane's first CD, "Set One". 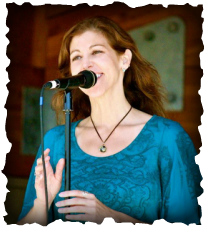 Elaine is a captivating vocalist with a voice that covers everything from soulful to sultry. "A rare and special musical match"
...& ﻿there ﻿are always more in the works!